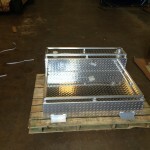 This job was for a customers truck to be installed in the hauler body. 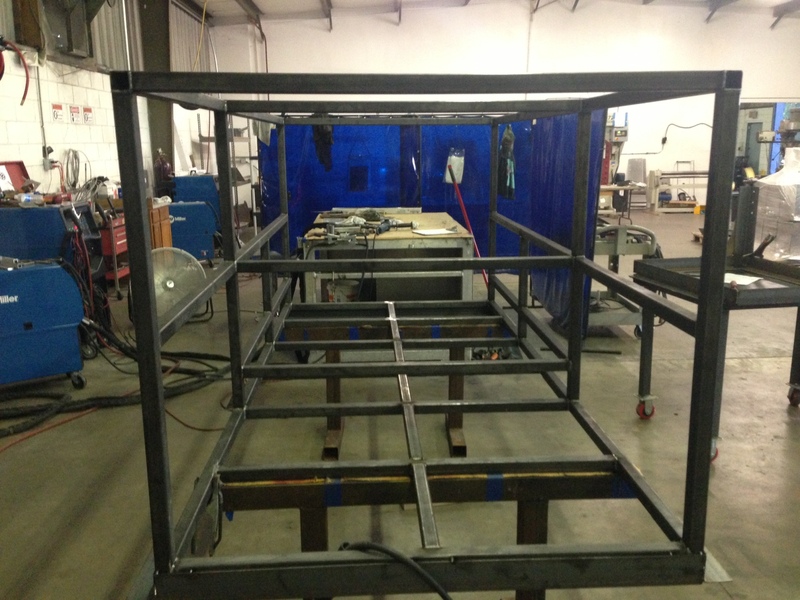 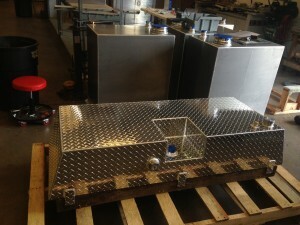 Tank is 50 gallon built from 1/8th” diamond plate with a cargo rail. 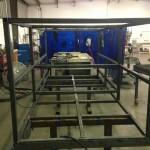 Here’s a cool project we’re working on. 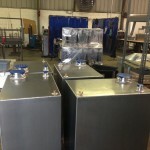 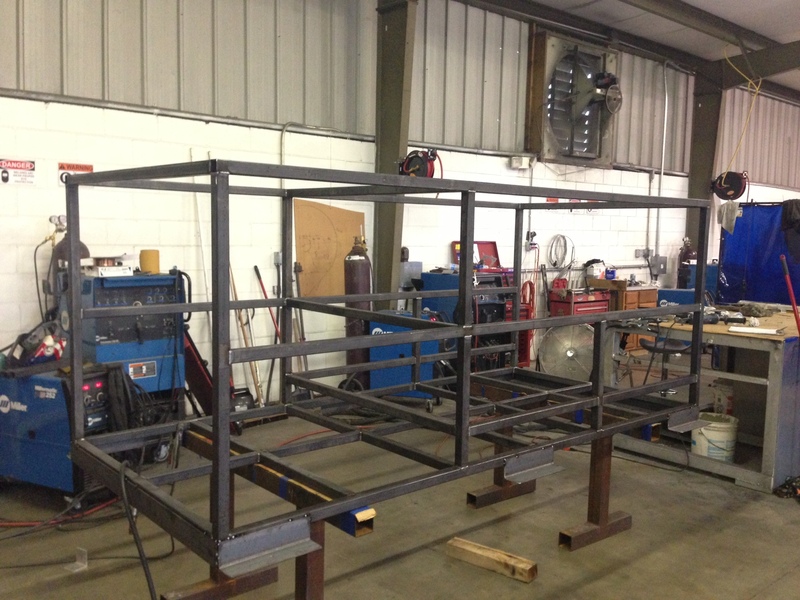 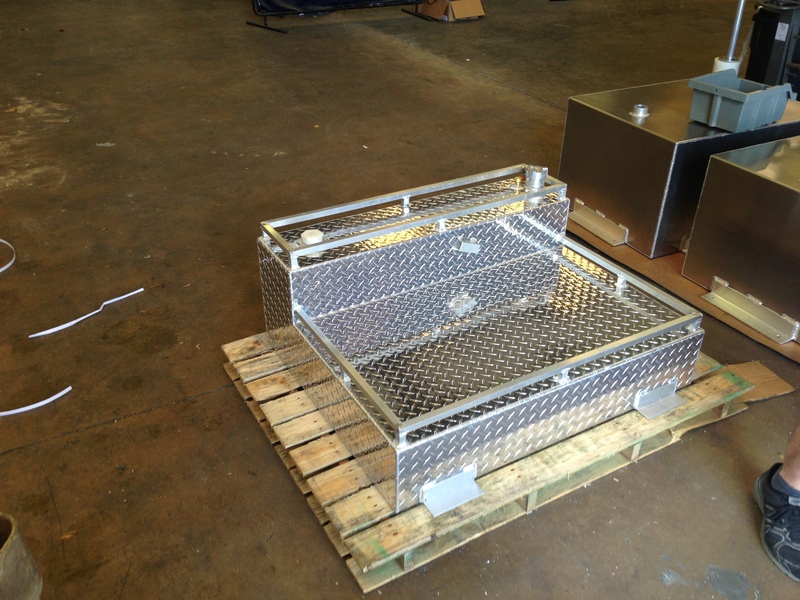 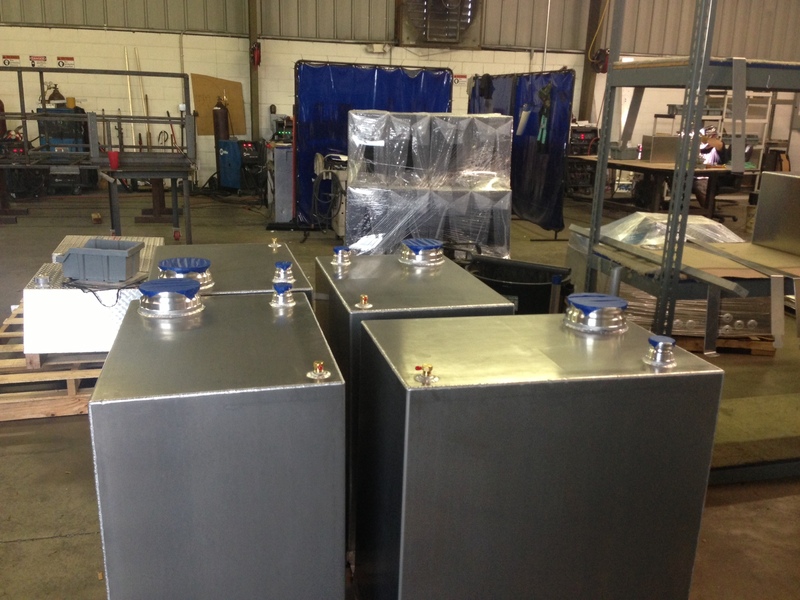 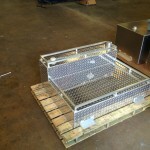 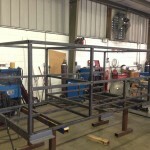 Customer required a steel skid for the four tanks pictured below. 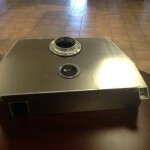 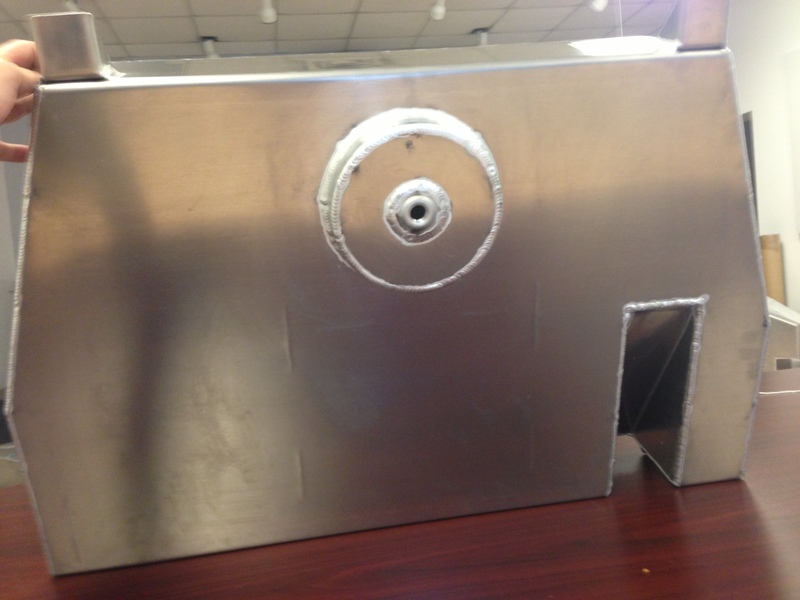 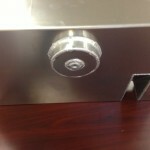 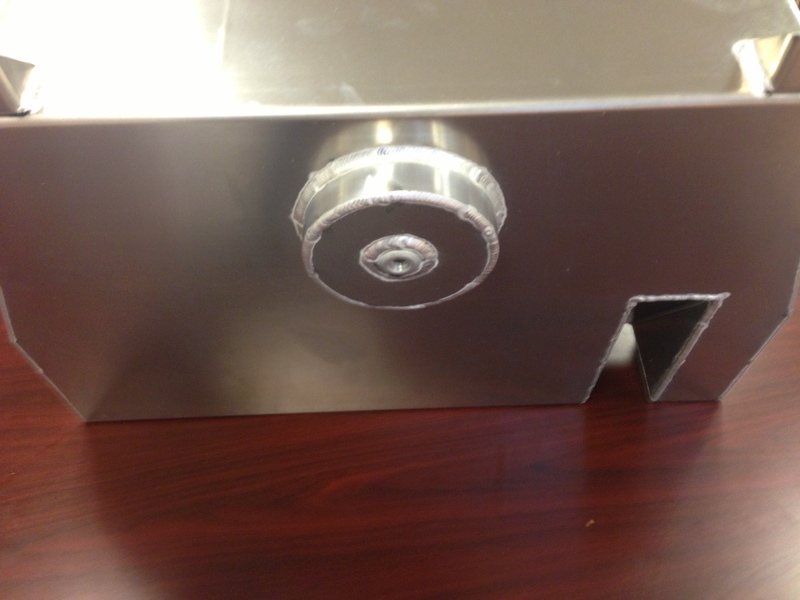 Tanks feature our 1/2″ rollover safety vent. 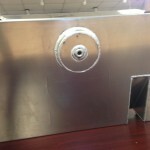 Awaiting customer pickup is this custom aluminum tank for his VW Beetle. 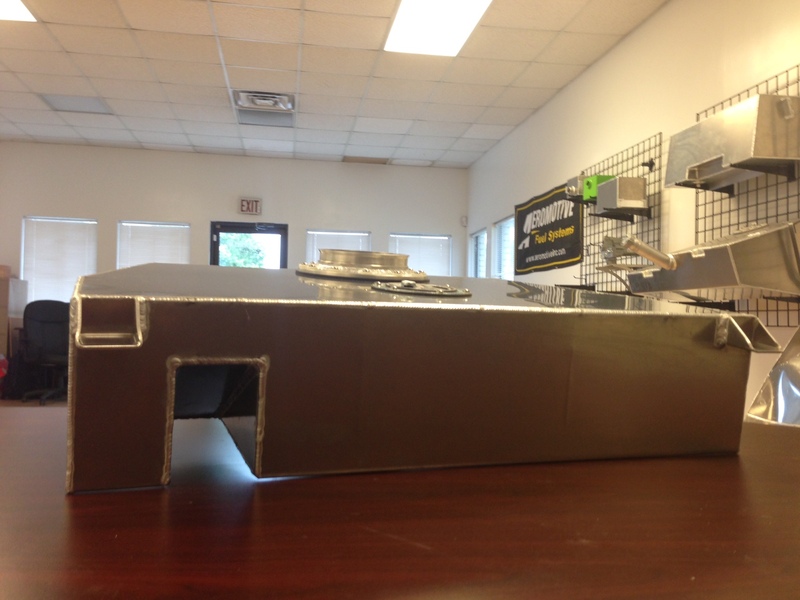 Notched for his steering column and featuring a custom sump. 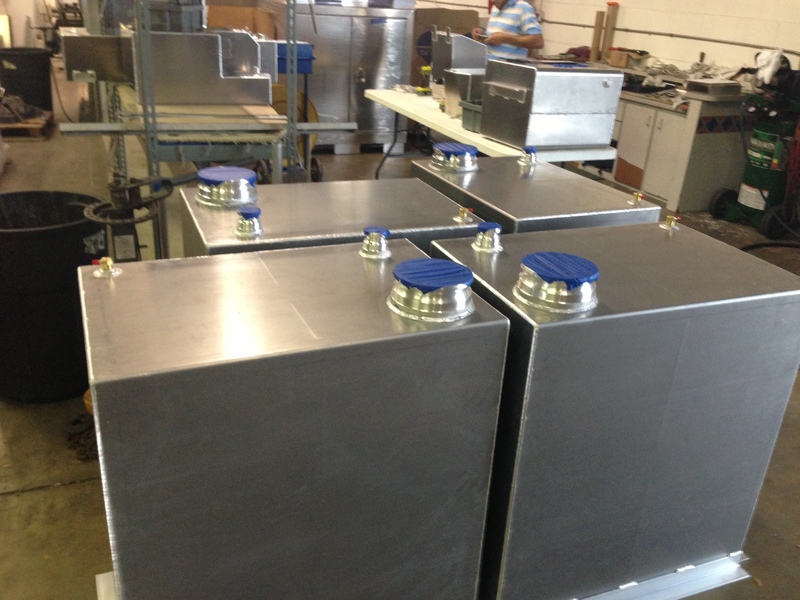 We utilized the customers supplied pump ring and our flush aircraft style fuel cap. 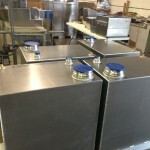 Here’s one getting ready to go out the door. 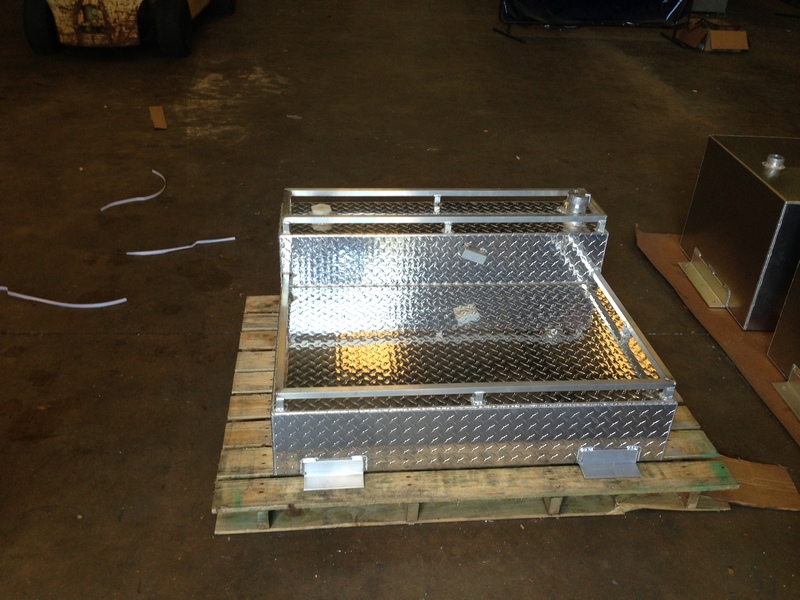 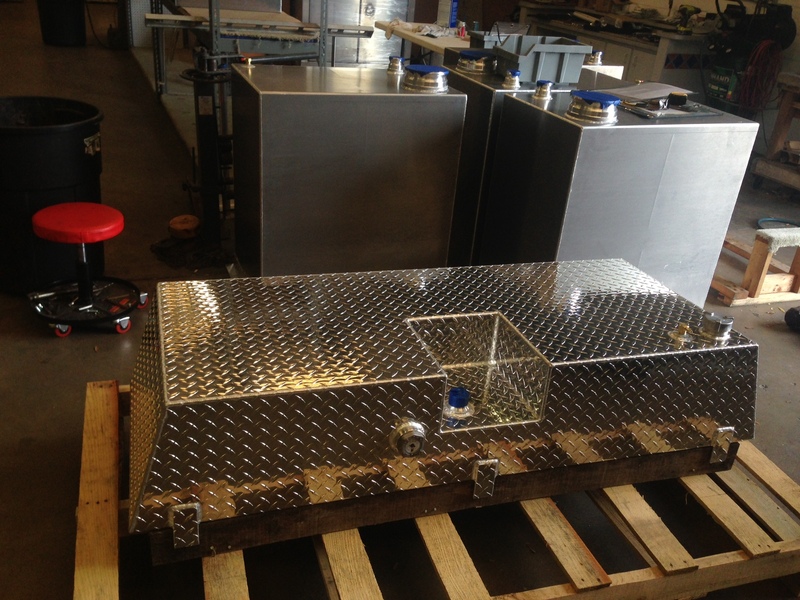 This particular transfer tank was built to be mounted on top of the customers tool box in the bed of their truck. 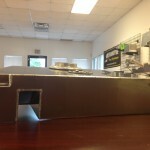 Notched for the GPI fuel pump. 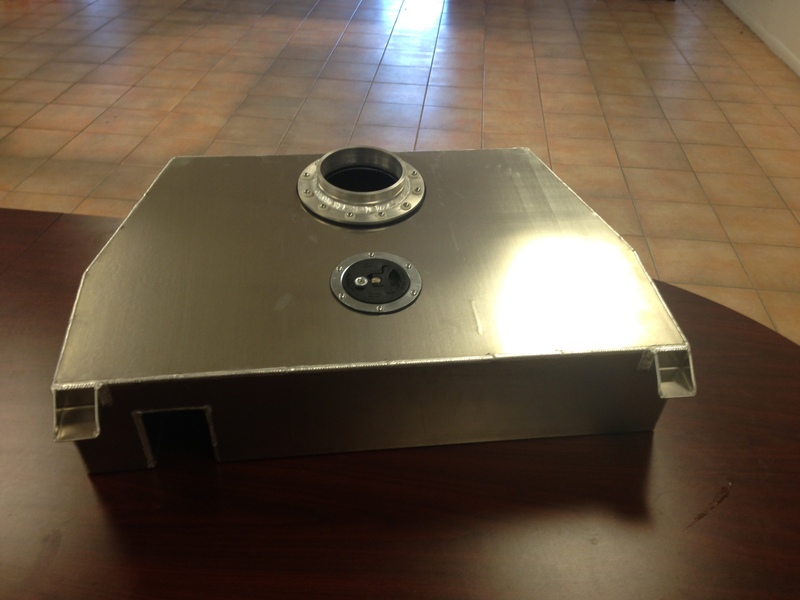 This tank also included a 2″ aluminum cap & neck as well as a 1/2″ Rollover Safety Vent.